Doris Jean (Bruce) Sutton, 85, of Muncie, Indiana, passed away on Saturday, June 23, 2018, at IU Health Ball Memorial Hospital in Muncie. She was born on August 5, 1932, in Corydon, to the late Elmer Bruce and Hettie Alice (Kintner) Bruce. Doris graduated from Corydon High School where she was a majorette performing with the band. She continued her education and went on to work as a secretary in Louisville. She then married and raised 3 children, sons, Alan and Greg Sutton, and younger sister, Janice (Bruce) Fritz. 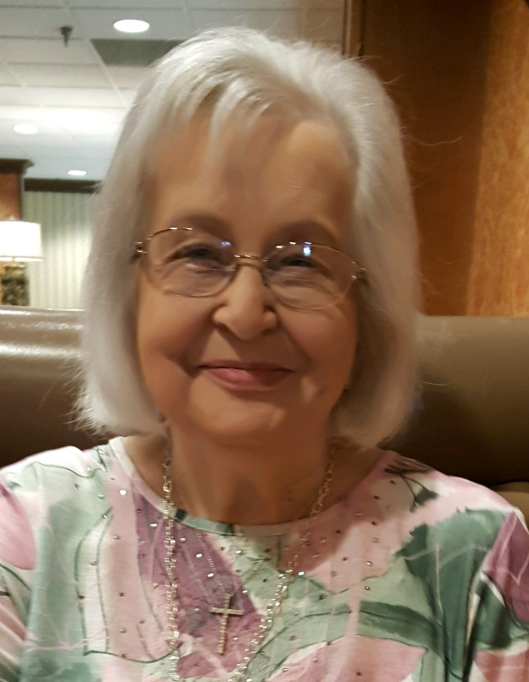 She enjoyed playing bridge, spending time with family, making jewelry and doing things for her neighbors at her residence at Gillespi Towers in Muncie. Doris was preceded in death by her parents, Elmer and Hettie Alice (Kintner) Bruce; her brothers, Everett Bruce, Eldo Bruce, Andy Bruce, Earl Bruce, Clyde Bruce, and Frankie Bruce; and her sisters, Evelyn (Bruce) Vaughn, Julia (Bruce) Atkins, and Sonya Bruce. Survivors include her sons, Alan Sutton of Boulder, Colorado, and Greg Sutton of Unionville, Indiana; her sister Janice Fritz (Bruce) of Muncie; and numerous nieces and nephews and their children and grandchildren. Funeral services will be held at 1:00 p.m. on Saturday, June 30, 2018, at Beanblossom-Cesar Funeral Home in Corydon. Pastor Edith Bleecker will officiate. Visitation starts at 11:00 a.m. Saturday at the funeral home. Burial will be in Heidelberg Cemetery near Corydon. The family requests that expressions of sympathy be made to the American Heart Association. Online condolences to the family can be made at www.cesarfuneralhome.com.